I have just returned home from a wonderful holiday in the south of France (The village of Valbonne to be precise) and while I was there I re-discovered a stunning looking vegetable called a Romanesco. I stumbled across these for the first time last year at an organic farmers market where I bored my wife to tears explaining how this was the perfect example of a fractal. I liked the look of them so much that I bought several and so it was very lucky that they happen to taste good as well. 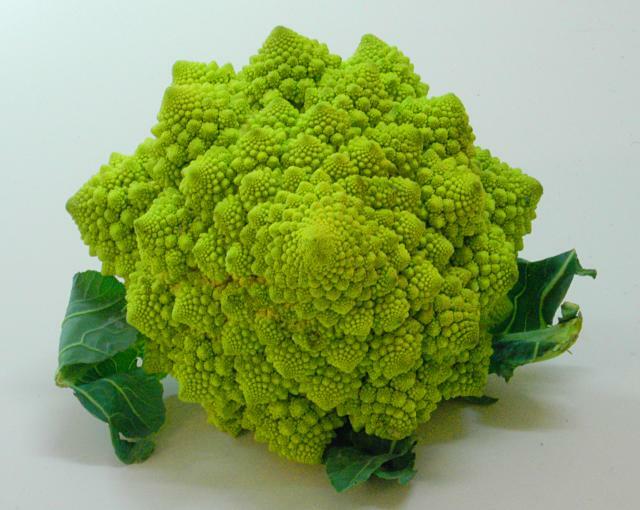 At the time of writing if you google for ‘Fractal Food’ then the top search result is the following great website which includes the above picture along with some of the mathematics of fractals. It also has a couple of recipes (which is unusual for a site about mathematics).